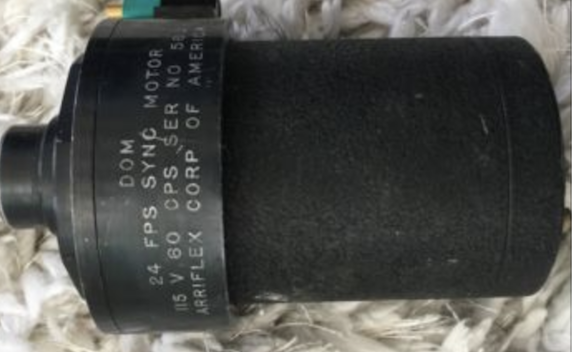 Selling an Arriflex 24 FPS sync motor. I recently purchased the motor for my Arri 16S, only to learn it was for the Arri 16BL once it arrived. Like most vintage Arri products it's made mostly of metal and pretty much feels indestructible. I have no way of testing it but it looks to be in decent shape on the outside. All of the pins are accounted for on the power input and the plastic teeth on the motor wheel are intact.